This picnic table is great for spontaneous afternoons in the country. It folds down flat to fit into most car trunks or hatchbacks. The key to its portability is the U-shaped leg assemblies, which nest inside each other. To acccomplish this, make the outer leg assembly first, then cut the inner one to fit inside it. This arrangement means, however, that one leg rail is short, and must rest on a block to provide the proper table height. The rail is held to the block with a butterfly catch. The leg ends are marked and trimmed after the table is assembled, an easy way to get exactly the right angle and length. 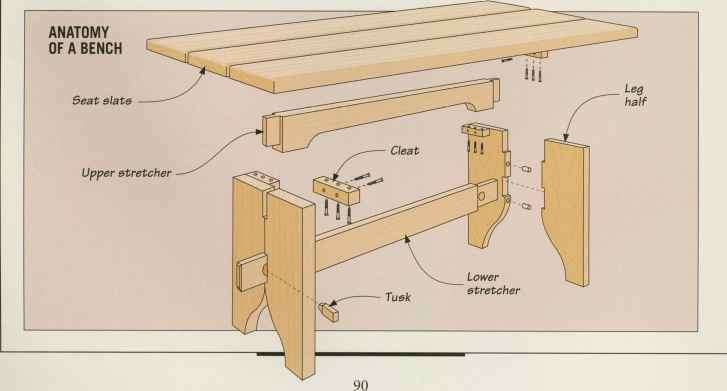 The perfect complement to the picnic table is the keyed tenon bench. Also known as a joynt stool, it is an adaptation of an old English design that features an interesting construction technique. 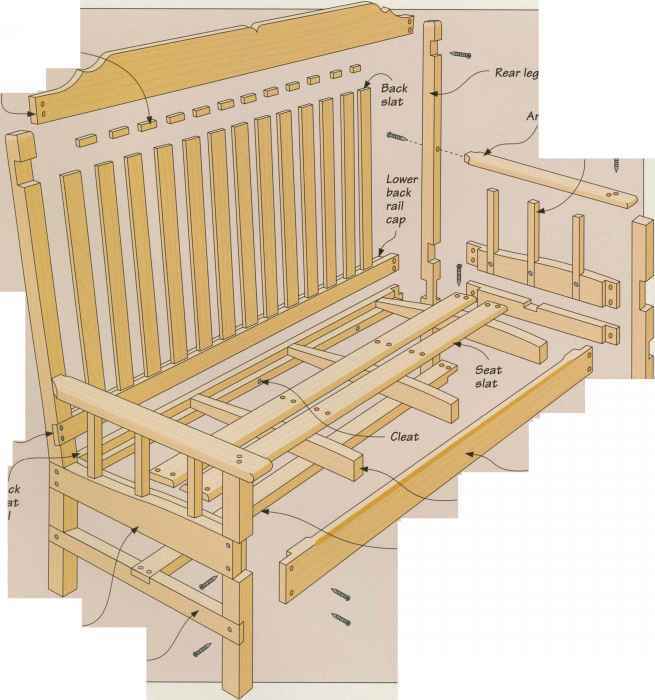 The legs are made in halves, then joined with dowel joints to ensure symmetry, while the notches automatically form the through mortises to hold the stretchers in place. 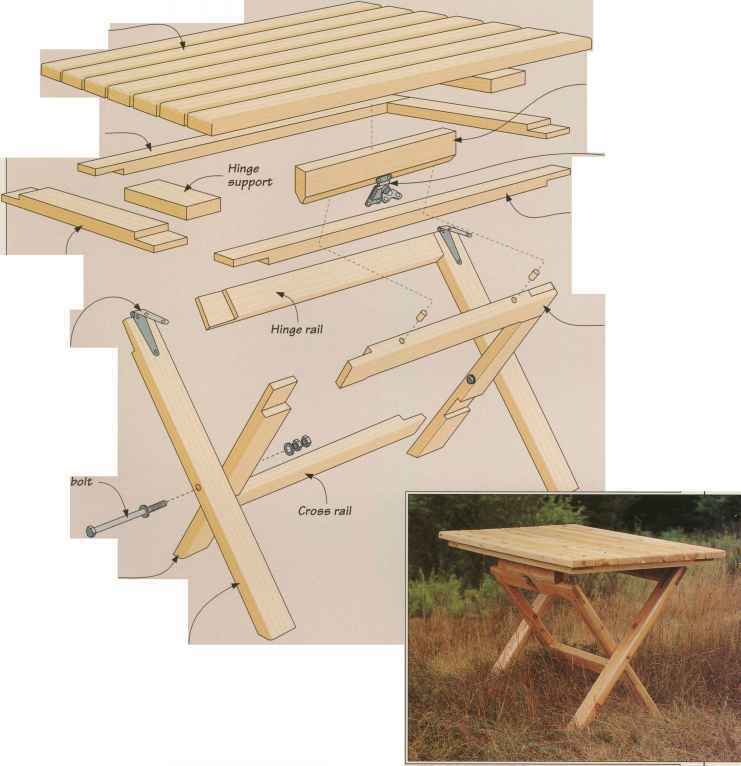 The folding picnic table is the perfect way to bring a bit of civilization into the countryside. It offers a sturdy dining area, large enough to sit four people.